Have you heard? Laela Jeyne Patterns is releasing a brand-new fall collection that includes patterns for the whole family! 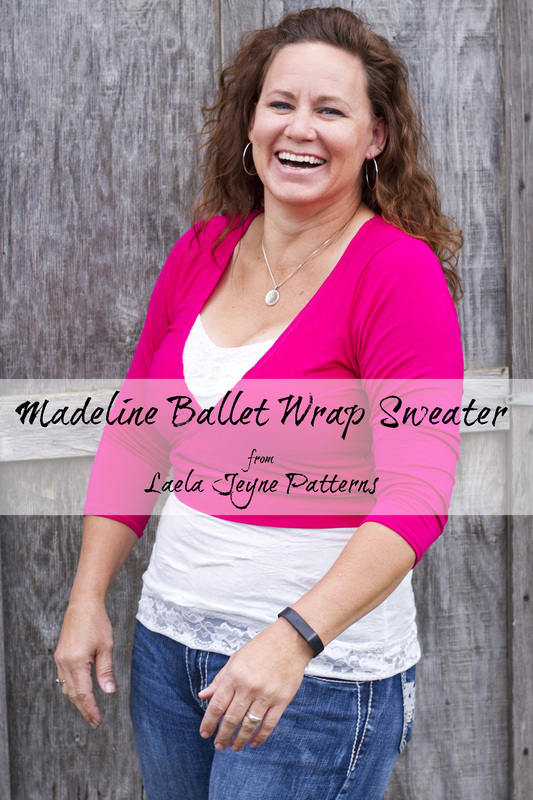 I am sharing one of the collection patterns today – the Madeline Ballet Wrap Sweater! When I first received the pattern, I knew it would be a great “go-to” sweater to wear on these cool fall mornings. Madeline can be styled over fitted dresses and blouses. It was designed to pair perfectly with the Juliette Dress, also releasing as part of the Fall Collection. With three closure options – wrap around tie, double button, or bottom band, the Madeline is an adorable addition to any closet! This sweet cropped ballet sweater is an advanced beginner pattern with quick assembly. The pdf pattern features layers (so you only print the size you need), and no trim pages! The Madeline Ballet Wrap Sweater is on sale along with the rest of the Laela Jeyne Fall Collection! Get your copy now before the sale ends on October 21st! I am a little thicker in the middle than I would like to be, and I am always wary of patterns that will draw attention to my waist (or lack thereof). The Madeline Wrap Sweater, while adorable, is not a style I would normally gravitate to for that reason. However, after making the sweater, I am pleasantly surprised! 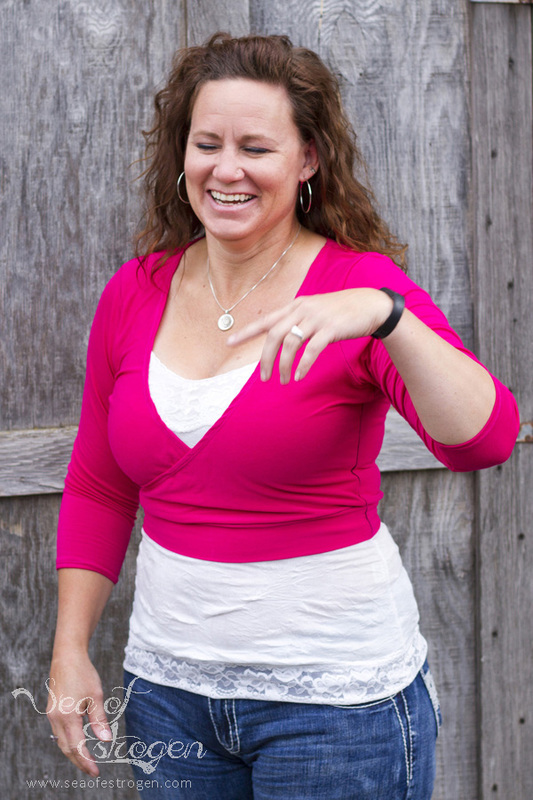 Not only does the Madeline give me a more defined waist, it is extremely comfortable and easy to wear!